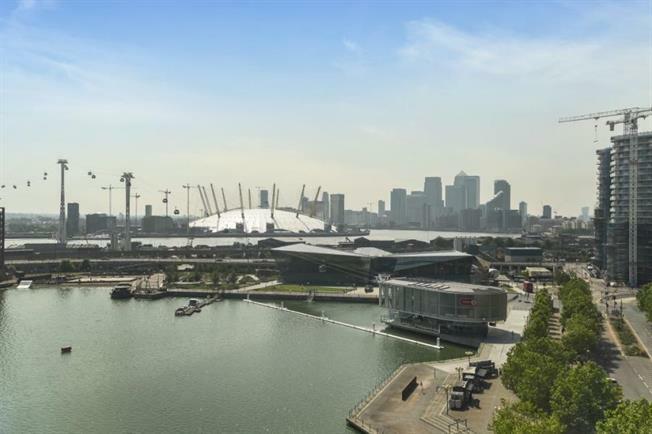 A stunning three bedroom, three bathroom duplex penthouse apartment, in the ever expanding Royal Victoria Dock E16. As you enter the lower floor of the apartment you are greeted by a bright spacious entrance hall and rather beautiful spiral staircase leading to the upper floor. The lower floor consists of modern fitted bathroom, one double bedroom and open plan living/kitchen reception measuring over 32ft with scenic views over London from your private balcony. The upper floor boasts two double bedrooms and a further two bathrooms. The master bedroom measures over 21ft, has the same fantastic views as the lower floor and benefits from a large en suite bathroom with twin basins.